Eighteen years ago, Krissy Moehl ran atop a ridge in the Chuckanut Mountains. As she danced along the trail, high above the coastline near Bellingham, Washington, distant sounds of clapping and exalted voices traveled up from the valley far below. A track runner for many years before, Moehl immediately recognized the sounds as applause from a track meet at a school down the hill. 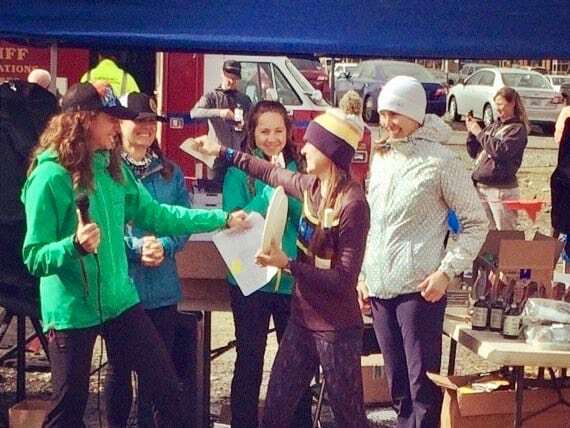 Moehl was 22 years old and racing her first ultra at the Chuckanut 50k. In that moment, she had something like an epiphany. In many ways, Moehl was in the right place at the right time. She was working at a running store in Seattle with Scott McCoubrey, Scott Jurek, and other big-time ultrarunners. She was rather easily convinced to run Chuckanut for the first time in 2000 and running far is all that she’s known since. Her days of running track and cross country were readily swapped for long days in the mountains. Moehl was in love with the community, too, and so the transition was easy. Now, all these years later, it seems that her love of the sport and its people remains just as strong. Even more, finding her place at such a young age has fueled Moehl’s spirit and given shape to her life. Eighteen years into the sport, she has immersed herself in all aspects of it; she’s been a fierce competitor, considerate coach, earnest author, budding public speaker, and long-time race director. 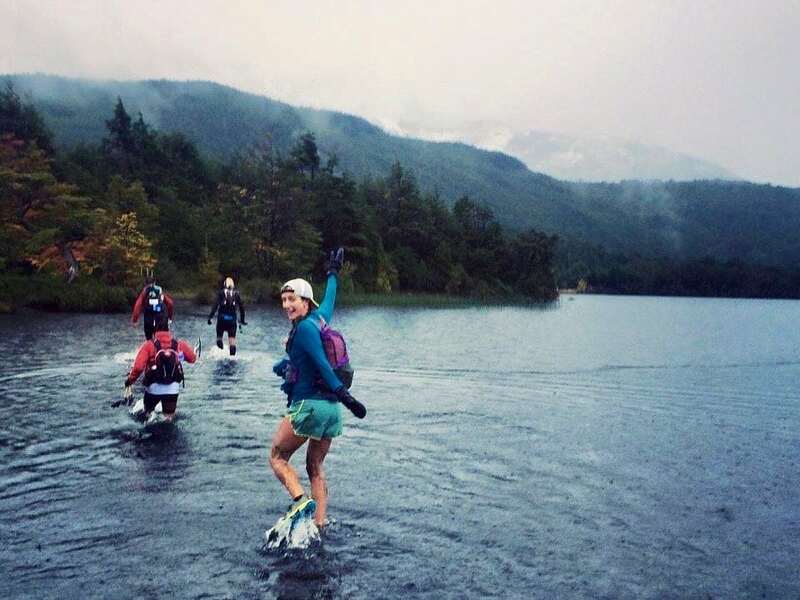 And to the very latter of those immersions, it’s remarkable that Moehl has been at the helm of the Chuckanut 50k for nearly her entire career as a competitor. In 2003, after winning the race twice, she became co-race director at the age of 24. When I asked her how she had the capacity or desire to start race directing at such a young age, when she was competing at such a high level, her response indicated that she never really entertained such a question. She was then and is now less concerned with the challenges and responsibilities of race directing—though she attends to those duties with professionalism—than with continuing a race that could facilitate an epiphany for another young runner. And, when prompted to explain why she would choose to direct the Chuckanut 50k, and accordingly be unable to race the event that got her started in ultrarunning, she took me back to that moment on the ridge, when she was floating along a trail in the Chuckanut Mountains. 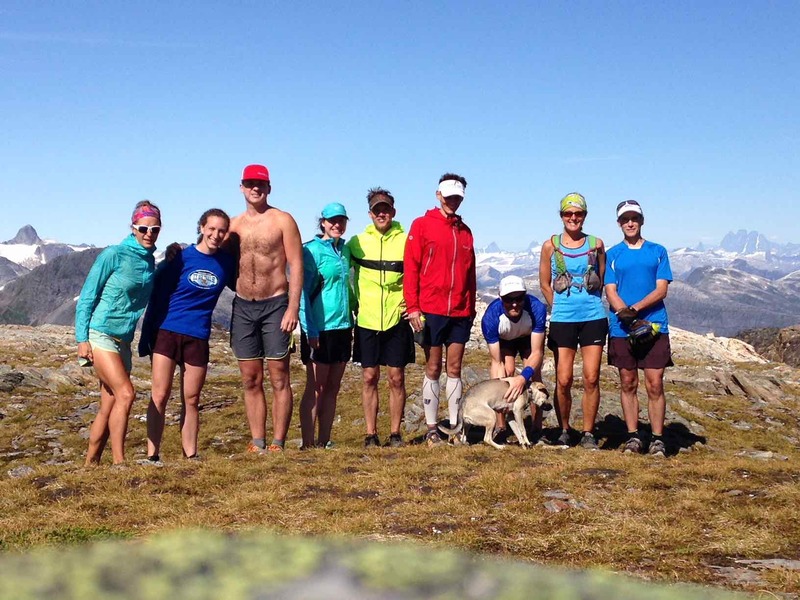 Krissy (far left) and others at Geoff Roes’s Alaska Running Camp. All photos courtesy of Krissy Moehl unless otherwise noted. For Moehl, to a large extent, the sport of ultrarunning is about sharing experiences with other people. It’s easy to see that ultrarunning’s community is at the center of everything she does in the sport today. Krissy competing at the 2015 Ultra Fiord 100k in Patagonia. How was she able to start race directing at such a young age? She points not to her drive or work ethic or skills but to the running community in Bellingham. 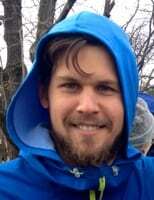 Amazingly, just one week before the 2018 Chuckanut 50k in March, Moehl raced 100 miles in China. She was jet legged when she returned to Bellingham a few days before the race. “The efforts of the community are what made that race happen. I never could have done it alone,” she insists. After the race, Moehl saw pictures online from one of the aid stations where they had alcoholic shots to lift people’s spirits. Moehl points to this example to explain how volunteers help shape the culture of the race. 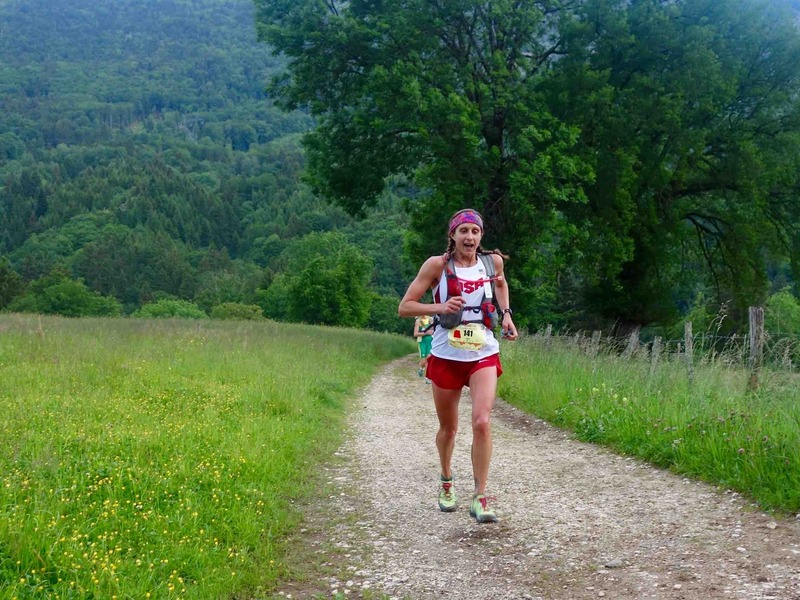 How did she become so successful in the sport of ultrarunning? Moehl doesn’t focus on the hours of pain and suffering she’s amassed or how dedicated she’s been over the years. She refers to her mentors, training partners, and other people who have helped her along the way, like Scott McCoubrey, Jeff Browning, Scott Jurek, and others, and her I’ll-try-anything attitude that she attributes to her parents, who have always encouraged her to try new things and say ‘yes’ to opportunities. Clowning around with ‘Bronco Billy,’ aka Jeff Browning, one of her key training partners and adopted big brother. How, after nearly two decades of competitive ultrarunning, was she able to win the 160-kilometer 2018 Mt. Gaoligong Ultra in China? Moehl doesn’t cite her miles of training or months of preparation. She cites the energy at the aid stations, the in-race help from her boyfriend, a fellow competitor with whom she shared later miles, and the messages of support she received during the race. The fact that Moehl identifies as a member of the running community, and not just a runner, is a powerful fact. She doesn’t understand running as just running; she sees it as part of a larger community of people who make running what it is. For example, when she was running the Mt. Gaoligong Ultra last month, on a ridge trail later in the race and at night, it was windy and the course markings had come off the foliage and lay on the trail. All of a sudden, in the middle of her own race, she found herself picking up the markings and putting them back up so that runners behind her wouldn’t get lost. Indeed, for Krissy, running isn’t just running. 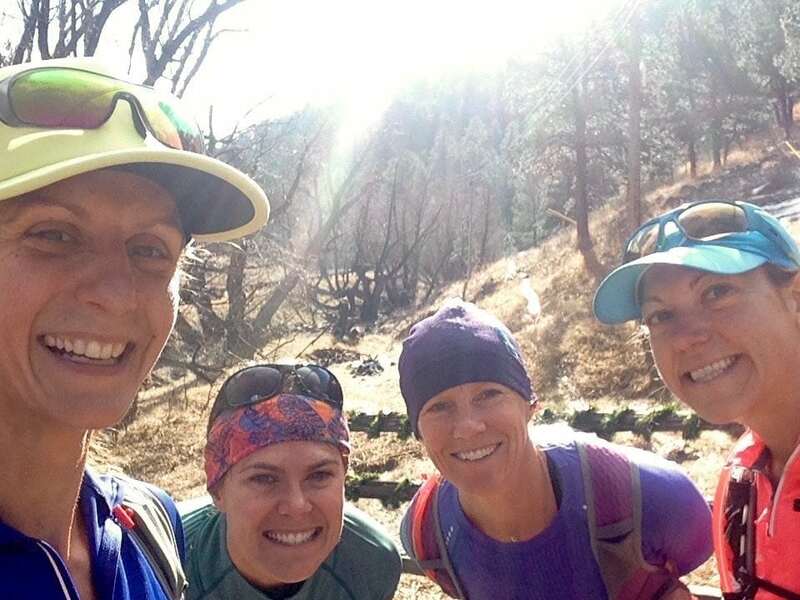 During her time living in Boulder, Colorado, Krissy loved her runs with fellow women. From left to right is Krissy, Gina Lucrezi, Darcy Piceu, and Cassie Scallon. Moehl’s relationship with ultrarunning’s community is symmetrical. For every breath of joy and morsel of knowledge she’s taken from the sport, she’s given it back equally in kind. It’s a nearly constant theme for her, from race directing to her own racing. Early in her career, Moehl says that she was like a sponge. 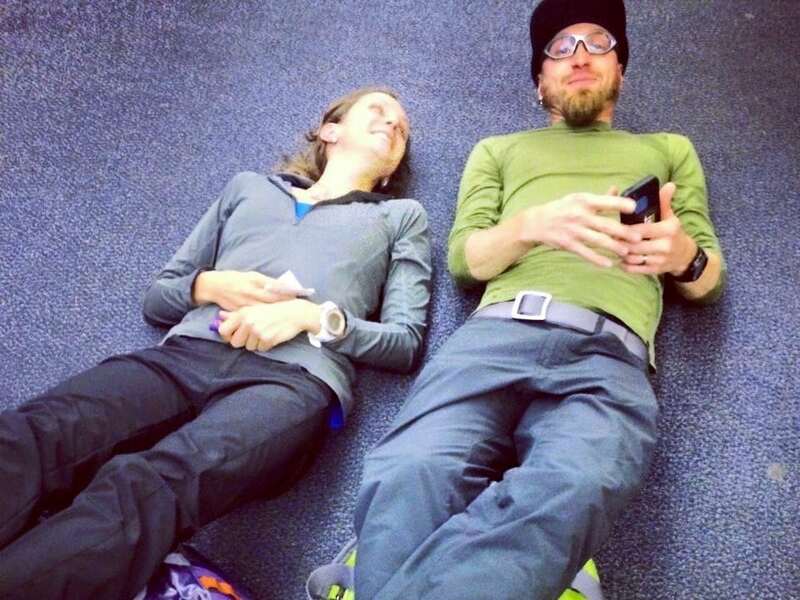 Among some of ultrarunning’s best like Hal Koerner, Ian Torrence, and Scott Jurek, she listened and learned and applied what she learned. She learned how to train for ultras, how to race long distances, and how to be successful in the sport—which by all accounts she has been. Today she spreads that knowledge widely by coaching runners across the country. Similarly, she’s offered her expertise to a broader audience through a TEDx talk in 2011 and more recently in book form with Running Your First Ultra: Customizable Training Plans for Your First 50k to 100-Mile Race. Krissy in motion (from upper left, clockwise): at her final 8th-grade race; at her senior high school state meet; the photo for her book cover; and her book itself, Running Your First Ultra. “Now people come to me for that knowledge. I’m the ‘old sage,’ if you will, and people want to know how to do things. It doesn’t seem like that long ago that I was the sponge looking for information. It’s the natural progression to help other people understand the sport, and help people find their own way,” Moehl reflects. Among a laundry list of accomplishments, some of her noteworthy wins include the Wasatch Front 100 Mile, HURT 100 Mile, Hardrock 100 Mile, Vermont 100 Mile, and UTMB. She proved a maverick when she won the 2003 UTMB at a time when few Americans traveled to Europe to race ultramarathons. (She won the race again in 2009.) In 2005, she became the youngest person to ever complete the Grand Slam of Ultrarunning, doing so in what was then and still is now the second-fastest time by a female.When she won Hardrock in 2007, she was third overall and established a then course record. I think you get the idea: Krissy Moehl is a badass ultrarunner. If results were all that mattered, anyone in the ultrarunning community would have good reason to take heaps of advice from Moehl. But I think that she has much deeper lessons to teach, advice and insight that goes far beyond the narrow reach of times and places across various distances by foot. Sure, Moehl recognizes that running is just running. She understands that ultrarunning is just really far running, too. But she also realizes that, within running, you can find some of the best parts of life. For Moehl, it’s the people and community involved in the sport that really matter, and it’s the experiences and stories behind those people that truly inspire. That’s why she gives back in the form of race directing, coaching, writing, and public speaking. As the race director of the Chuckanut 50k since 2003, Moehl has handed out a lot of hardware. The ultrarunning community might not be the place for everyone and it might not have the right people for everyone. But it’s the right place for Krissy Moehl and its people are her people. She recognizes this good fortune and she tries to pay it forward. It’s that community and those people that have led to her success. And she wants others to succeed, too, because success for its own sake isn’t what Moehl is after. Running is most fulfilling, she thinks, when it helps to inspire others. On that day 18 years ago when Moehl was navigating a trail on a ridge in the Chuckanut Mountains during the Chuckanut 50k, when she’d realized she’d found her place, she wasn’t alone. She was running with Uli Steidl and Scott McCoubrey. She hasn’t been alone and she’s been inspiring ever since. Calling all Krissy Moehl stories! Have you run or raced with Krissy? Have you run the Chuckanut 50k under her direction? Have you read her book or seen her speak? How has Krissy inspired you in our sport? Leave a comment to share your story. 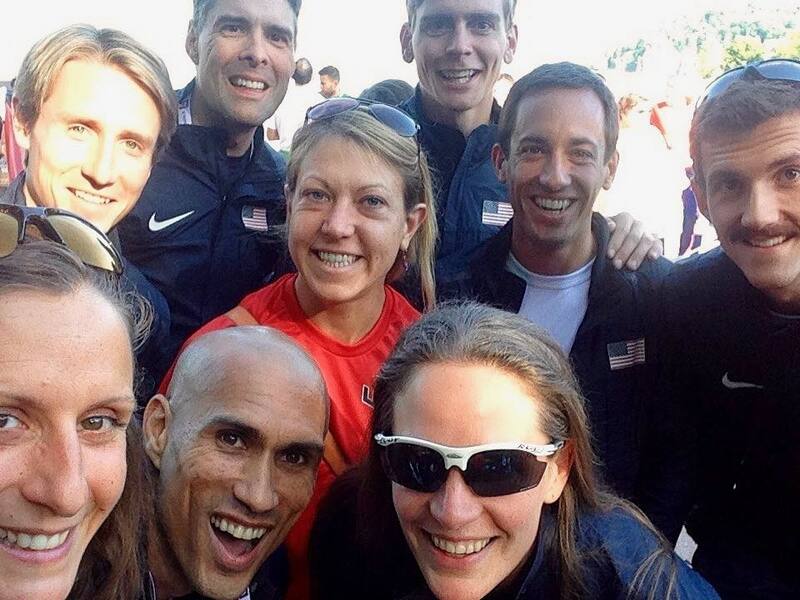 Krissy (far left) and Team USA at the 2015 IAU Trail World Championships. We had the honor of meeting Krissy last week in Atlanta. She was supporting Scott Jurek on his book tour for “North”. Despite having her book “Running Your First Ultra”, we didn’t recognize her at first. She was helping Scott and Jenny keep up with their new baby and never once bragged about who she was. We struck up a sidebar conversation with her about the Georgia Death Race and training for our first ultra. She thoughtfully gave us some training suggestions and casually mentioned her book (still without bragging about it or even saying she was the author of the book). When my wife Mary Catherine introduced ourselves by name, she simply said “I’m Krissy”. 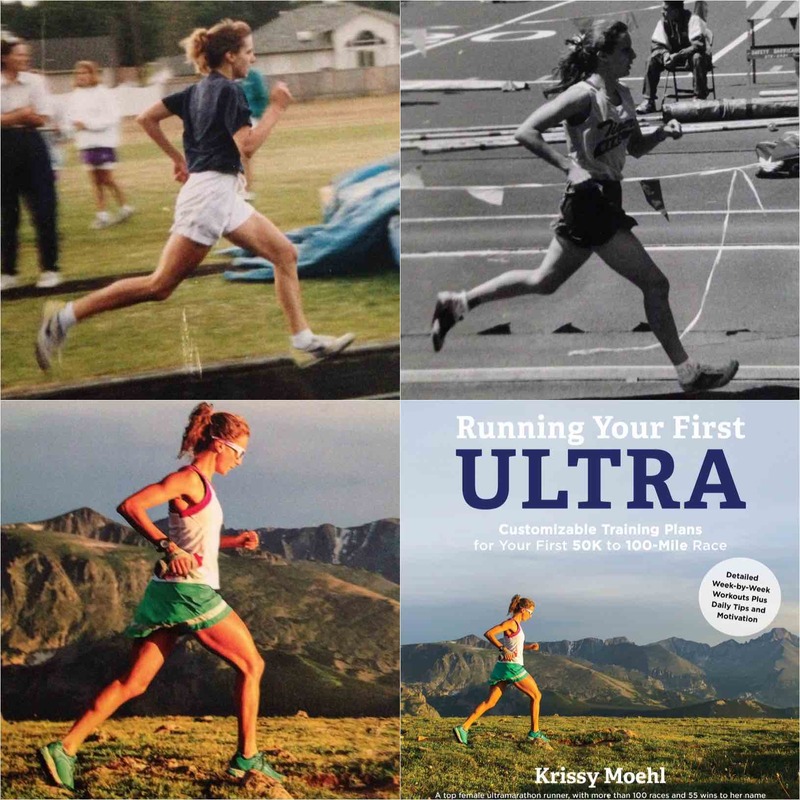 I was in shock…”You mean you’re The Krissy…the Ultrarunner, author, coach, and Race Director”. She smiled. We continued to chat. I was totally impressed by her knowledge, helpfulness (to the Jureks and us), friendliness and lack of ego. Krissy is a rockstar! It was great to meet you two! Keep me posted on how the team training goes. Met her once, briefly, years ago at the Zane Grey 50 in Arizona. She had a nice, friendly vibe. No surprise she continues to thrive. That is many moons ago! :)I think I ran Zane Grey in 2004…?? I forgot the year, too. It was 2003 that I briefly met you barreling towards the finish — but it looks like you went back for more on ’04! Krissy is one of the best. Inspired by her from the start of my own ultrarunning and continually inspired by her every year. An impressive racing resume and an amazing person. Thank you Krissy for everything you do for the community. When running the Fragrance Lake 1/2 last year someone ran up alongside me with their dog on a connector trail between the ridge trail and a fire road and was friendly and positive- and I realized it was Krissy and had a fangirl moment in my head— I told her I knew who she was and was thankful she organized Chuckanut 50K, and she was very humble about it all. This article sums her personality (the brief glimpse that I saw that day) well- she really seems to love running for running but also to connect with and inspire other runners. I totally remember this! I was so worried about my pup getting in the way of the racers. You were awesome about it. The 2017 Chuckanut was my first ultra and it was the PNW in a nut shell, pouring rain in the start with it turning to hail and snow on the ridge and clearing up for sunshine at the finish line. That was one of the funnest and challenging runs I had done. So of course I had to do it again this year (sunshine all day long by the way) and I was very pleased to be able to thank Krissy in person at the Wander post party while replenishing with precious liquid calories, she was of course very kind and humble, praising her co-RDs. I had read her book prior to running my first ultra and given the she directed my first ultra, it is safe to say she has influenced my love for sport without even knowing. Until now that is. What a journey Jess! It means the world to me to know of your story. Your persistence and charging for a goal through your treatments are inspiring. This is a really nice tribute. I’ve been a fan and friend of Krissy’s for most of my 10 years of running ultras. There are quite a few runners with longevity, and some with relevance to our sport at a global level, but not many with both. I remember traveling to Seattle 8 years ago, and Krissy, who I hadn’t met in person, invited me to join her and friends on a 5-hour run in the mountains. It was pouring rain for most of this Twelve Summits loop, but we were in great spirits. I was running with a woman at Cougar Mtn. in the fall who told me she was running her first 50K following Krissy’s training book. I then heard her speak at a women’s trail running panel at Seven Hills! I decided to run my first trail marathon (which I completed this past weekend at Deception Pass through Destination Trail), inspired from the community of trail runners here in the PNW, a recent race in Squamish, my husband who runs 50ks for breakfast, AND picking up Krissy’s book, Run Your First Ultra…which helped seal the deal (a solid plan and advice goes a long way). It was such a well written and inspiring book, and there’s no way I would have been as prepared as I was without following it. Excited for what is next. Thanks, Krissy Moehl! I met Krissy when she came for a “leisurely jog” in Lesotho (aka the mountain kingdom) at Lesotho Ultra, 2016. I was inspired by her humbleness and love for the running community. She was gracious and, despite all her achievements, approachable and interested. She’s definitely the kindest-badass I’ve had the pleasure of meeting! Thanks for the article Eric. i just met Krissy last week when Scott & Jenny were in Boston for their “north” book tour. we got a chance to spend some time together and she was just as sweet and sincere as one could imagine. really great person. hope to get out there to run her race next year!